Since the Ethereum blockchain network first launched in July 2015, some 500+ cryptocurrency projects have been built on top of it as ERC20, ERC223, or ERC777 tokens. Many of these projects have used Ethereum as little more than an ICO platform to gain liquidity for their tokens before launching independent blockchains. Ironically, this includes a handful of Ethereum competitors such as EOS, Zilliqa, and RChain. In past editions of this article, we have included all Ethereum tokens with Top 20 marketcaps, regardless of whether or not they intended to remain as Ethereum tokens long-term. In this update, we are changing that. 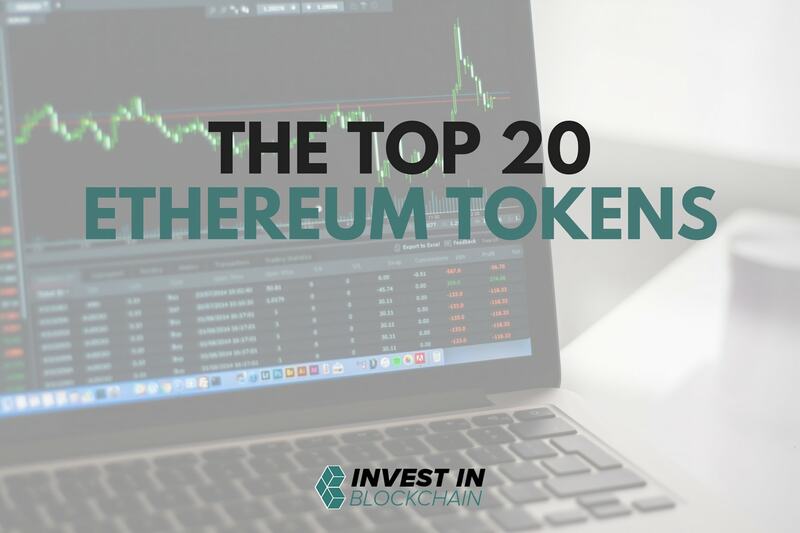 Former Ethereum tokens, as well as soon-to-be former Ethereum tokens, will not be a part of the Top 20. Instead, we will be focused on spreading awareness about the projects that are actually building on top of Ethereum and contributing to its dapp ecosystem. Listen… there’s no use in pretending that Ethereum is without problems. With sharding still over a year away, scalability will remain a major issue throughout 2018 and 2019. That being said, Ethereum’s competitors have serious problems too. The EOS launch was an utter disaster and its Delegated Proof-of-Stake (DPoS) consensus mechanism hardly seems like the kind of solution that we can build the decentralized web upon. 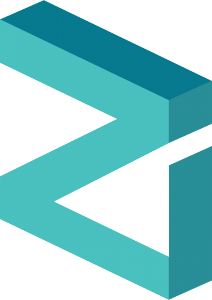 Meanwhile, Zilliqa had a major flaw exposed by engineer Eric Wall at the Swedish Bloxpo event in May that we have yet to see addressed in the time that has since passed. Somehow, these events have done little to discourage investors in these supposed “Ethereum killers” in the short run. But perhaps that’s to be expected, as new and overzealous investors are all too susceptible to the influence of great marketing campaigns. Make no mistake about it, though, Ethereum is still the best platform cryptocurrency out there with the strongest development community. Whether it retains that status in the years to come remains to be seen, but it seems more likely than not. That’s enough Ethereum talk for now — it’s time to get to the tokens. This article will present introductions to the Top 20 Ethereum-based tokens, ranked by their current market cap to avoid bias. Note that I will do my best to keep this list up-to-date and add information about tokens that climb up the rankings, but the Top 20 moves almost daily! Please refer to coinmarketcap.com/tokens for the current top 20 tokens and their prices. Binance Coin is the coin used to facilitate operations on the Binance platform – a cryptocurrency exchange that is capable of processing 1.4 million orders per second. The name “Binance” is derived from the combination of the terms “binary” and “finance”, referring to the integration of digital technology and finance. The BNB coin is used on the platform to pay exchange fees, withdrawal fees, listing fees, and all other possible transaction expenses. In order to incentivize new users to do their cryptocurrency trading on Binance, the team is offering discounts when BNB is used to pay fees. The discount will be 50% in the first year, 25% in the second, 12.5% in the third, and 6.25% in the fourth year before the discount ends. Binance was primarily marketed to Chinese cryptocurrency investors at first, but it has since grown to be one of the largest international exchanges in the world. In addition to simplified and traditional Chinese, they also have English, Korean, Japanese, Vietnamese, Dutch, French, Turkish, Spanish, Italian, Polish, and Russian versions of the platform. And at the rate that Binance is expanding, that long list will probably be longer in time for the next update. 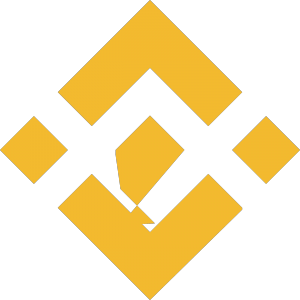 For a deeper look into Binance, you can read the whitepaper or check out the trading platform here. We also recommend taking a look at the reasons why BNB is a good HODL. Maker is a blockchain project that serves an increasingly important purpose in the greater cryptocurrency ecosystem. Maker’s native cryptocurrency is actually a combination of two different tokens, MKR and Dai. While MKR is a utility token, Dai is what’s known as a decentralized “stablecoin” – the first of its kind. Its value is softly (impermanently) pegged to the US Dollar at a 1:1 ratio. In other words, 1 Dai is equal to $1. Understanding how stablecoins work from a technological standpoint requires a more in-depth explanation than can be fit in this article. However, the concept is extremely interesting and worthwhile to learn about for any cryptocurrency enthusiast. You can find a more detailed explanation of stablecoins and how MKR and Dai work together in the Maker solution by reading What Is Maker? and the Dai whitepaper. After years of development, the Dai token was launched in December 2017. The Maker team open-sourced the code for Dai in September 2018, moving into the next phase of the project in which collateral can come from multiple currencies, not just ETH as was the case when it originally launched. Dai is far more experimental and complex than a simple USD-collateralized stablecoin, and that makes it a lot more interesting, too. If you haven’t already, we recommend taking a deeper dive into Dai. OmiseGo has had a solid year thus far in 2018, developing internally and also making significant contributions to Ethereum scalability efforts with Plasma. The motto of OmiseGo is “Unbank the Banked.” What does that mean, exactly? Well, it basically means that OmiseGo will provide completely decentralized and affordable financial services, and you don’t need to have a bank account to gain access to them. Their services will include payments, remittances, payroll deposit, B2B commerce, supply-chain finance, loyalty programs, asset management and trading. Best of all, OmiseGo is intrinsically agnostic between fiat currencies and cryptocurrencies. As stated on their website, “the system is constructed so that the best currencies will win.” The company currently operates in Thailand, Japan, Singapore and Indonesia, with plans to expand across the Asia-Pacific region. 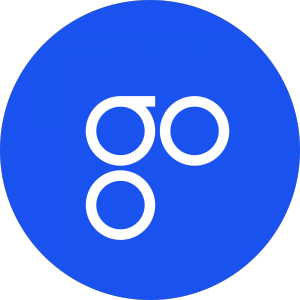 Since their widely successful token sale in July 2017, OmiseGO has gone on to build several noteworthy partnerships and even secured funding from a Japanese VC Firm, Global Brain, in October 2018. In less than 2 years, OMG has solidified its reputation as one of the best projects in the Ethereum ecosystem and cryptocurrency ecosystem at large. Here’s their whitepaper if you’d like to take a deeper look. Besides scalability, one of the biggest problems with the cryptocurrency space currently is a lack of good decentralized exchanges. While some have been popping up in recent years – including Waves, IDEX, and EtherDelta – a quick look at 24-hour trade volume rankings on coinmarketcap shows that the vast majority of trading still occurs on centralized exchanges. 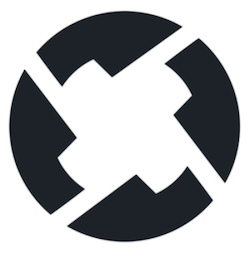 0x is an open-source and permissionless protocol that allows for Ethereum tokens to be traded on the Ethereum blockchain. The primary purpose of the protocol is for it to be used as a building block that enables trustless exchange functionality for decentralized exchanges and dapps. The protocol is fast and scalable thanks to off-chain order relay, while still being trustless thanks to on-chain settlement. There are a number of “relayers” who are already using the 0x protocol to facilitate transactions, the most popular of which at the moment is Radar Relay. Many dapps have begun using the 0x protocol as well, including Augur, Aragon, and Request Network. With the 0x protocol, users can trade directly with known counterparties for free. Meanwhile, relayers can be paid with ZRX tokens to facilitate all other transactions. As the network of dapps and relayers using 0x continues to grow, the token’s value will likely follow suit. Considering 0x’s recent upgrade to v2.0 and the ZRX listing on Coinbase, it’s no surprise that ZRX has been one of the best performing cryptocurrencies during the 2018 bear market. The future is certainly bright for this one. For additional information on how the 0x protocol and ZRX token economics work, take a look at the project’s whitepaper. After falling out of the Top 20 in the previous edition of this article, BAT has had a recent resurgence thanks in good part to an announcement from Coinbase that they will be exploring the addition of BAT (along with ZRX and others.) Many BAT supporters anticipated this move, us included, but it is still a big win for the project and should help spread awareness rapidly in the months ahead. In case you aren’t familiar with the project already, Basic Attention Token and Brave browser are solutions for the broken digital advertising model. The aim of the BAT project is to build a new system in which advertisers, content publishers, and internet users all benefit while inefficient and invasive middlemen platforms such as Facebook and YouTube eventually become obsolete. Of course, that means that BAT is one of the most ambitious and risky projects to invest in, because supplanting those internet giants is going to be difficult, to say the least. Marketing and network effects will be critical, along with a healthy dose of patience. That being said, the BAT project certainly has the technology to turn this into a real competition. The first component of the BAT solution is Brave browser. It’s an open-source, high-performance web browser that protects the privacy of your data while blocking ads and trackers. Brave is arguably the best browser available today regardless of its use in the new advertising model, and we highly recommend that you download it and try it out for yourself. Another critical feature of Brave is Brave Payments, which is a program that enables users to support their favorite content creators and publishers with BAT. The list of publishers accepting BAT is growing fast as awareness of the project continues to spread. Brave tracks the time you spend on various websites and YouTube channels, allowing you to make well-informed decisions on how to distribute your BAT. Brave also enables you to earn BAT as a reward for your attention if you choose to be shown targeted advertisements while browsing. You can learn more about the broken digital advertising model, the benefits of Brave and BAT, and the BAT team in this summary What Is Basic Attention Token?. You can also find more detailed information in the project whitepaper. 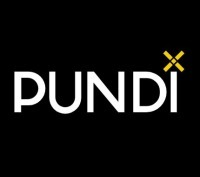 What makes Pundi X exciting is that it can provide these easy-to-use financial services to populations that are underbanked or even unbanked. Through connections with exchanges, Pundi X allows customers to pay for products with cryptocurrencies like BTC and ETH while retailers can instantly receive the payment in their local fiat currency. Anything that makes it easier to use cryptocurrencies in day-to-day life is positive for adoption, but the fact that Pundi X is providing these services in places like Indonesia — where over 50% of the 270 million citizens are unbanked — is even better. To learn more about Pundi X and the problems they are aiming to solve, you can read their whitepaper and our guide to Pundi X.And for some deep analysis of why NPXS is a great HODL, find it among these Altcoins to HODL Until 2020. One of the big problems that developers are trying to solve in the blockchain industry is that of how to connect decentralized smart contracts with the external world. As it is, smart contracts can’t easily use web APIs, data feeds necessary for monitoring contractual performance, or key outputs such as accepted bank payments. This lack of connectivity severely limits what’s possible for smart contract developers to create today. Everybody’s talking about the sad state of the dapp landscape, and rightfully so. A look at the rankings on State of the Dapps shows that just 3 categories of dapps make up an overwhelming majority of the total dapp transaction volume: gambling platforms, games, and exchanges. Good applications for blockchain technology, sure. But not world changing. While the scalability problem gets most of the coverage, the inability for dapps to connect with the outside world is an equally, if not even more important, reason there aren’t any great dapps yet. Chainlink is focused on building a trustworthy oracle solution that can be used throughout the cryptocurrency ecosystem. The oracle is a secure, decentralized, and tamper-proof way for smart contracts to have real-time awareness of external events and data and to send payment outputs. 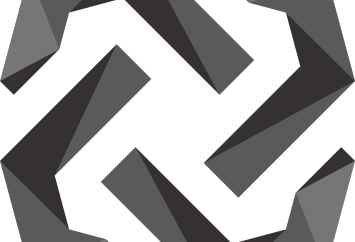 Chainlink’s key infrastructure development is an open-source reference implementation built in Go, which serves as the foundation for the project’s suite of services. 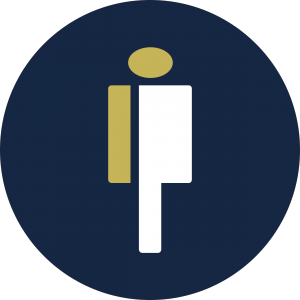 These services – described in the project whitepaper – include a validation system, reputation system, certification system, and contract-upgrade service. Decentralized oracles are one of the keys to unlocking the potential of smart contracts to revolutionize the world, and Chainlink is a builder in the space. To learn more, you can visit their website: https://chain.link/. With our existing financial infrastructure, the process of getting a loan is very inefficient for small and medium-sized businesses. Populous provides a new means of facilitating these loans, using a decentralized, peer-to-peer platform. When businesses experience “slack” periods between invoices where cashflow is too low to pay wages, supplier dues, and other operational costs, they can turn to Populous to quickly receive loans. Businesses simply upload their invoices to the platform, and buyers are then free to bid for the opportunity to loan the business money and later collect the principal plus interest. By building the platform on blockchain technology, Populous eliminates the need for banks and other financial institutions to serve as the middleman in these transactions. This means businesses can get loans faster and at better rates, while people with excess capital can lend their funds and earn more interest on it than they would by leaving the money in a savings account. You can learn more about Populous by reading their whitepaper and checking out their website. Extreme price volatility that makes cryptocurrencies difficult to use for retail transactions and unappealing to risk-averse retail investors. Lack of transparency and trustworthiness for existing stablecoin solutions, namely USD Tether (USDT). In an article from earlier this year – What Is a Stablecoin and Does the Crypto Market Need Them? – you can read much more in-depth information about the purpose and benefits of stablecoins, as well as their impact on the greater cryptocurrency market. TrueUSD is an alternative stablecoin option for cryptocurrency traders and investors who want to avoid USDT due to its shady reputation. It can be redeemed 1-for-1 for US dollars at any time and is fully collateralized. There are regular attestations of the escrowed balances from registered banks and fiduciaries who hold the funds backing TUSD. The company behind TrueUSD, TrustToken, doesn’t handle the funds directly as an extra security measure. As of writing, TrueUSD’s market cap stands at approximately $160 million, $100 million higher than it was just 5 months ago in August. It’s still substantially smaller than Tether’s $1.75 billion market cap, but we’re trending in the right direction. To learn more about TrueUSD and the company behind it, visit https://www.trusttoken.com/. Golem’s plan is to create a global, open-sourced, decentralized supercomputer that can be used by anybody who has internet access. Golem doesn’t actually supply the computational power itself. Instead, they allow people who have unused computational power to “lend” it out to users who need it for a fee. In that sense, you can think of Golem as the Airbnb of computing. Just about any situation where heavy computation is necessary – medical research, AI development, computer graphics, cryptography, etc. – are good potential use cases for Golem. All computation is done on virtual machines, so hosts don’t have to sacrifice security to offer their computing power. Golem is currently in the beta testing phase, with the latest update being v0.18.1 as of writing this update. If you’re looking for some analysis of what the project has accomplished and where they are heading, we covered the mid-term roadmap and other recent developments in this Golem update. And finally, here’s the whitepaper for those interested in taking a deeper look at the technology. 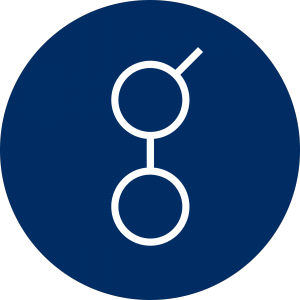 Or, if you prefer something more efficient and easy to read, see our guide: What is Golem? Prediction markets are already considered the most powerful forecasting tool we have in the human arsenal. 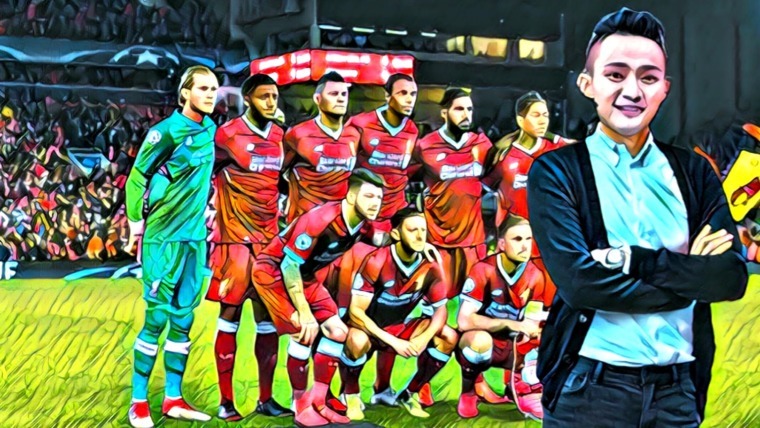 The idea is that when you combine game theory and wisdom of the crowd in a single solution, you’ll generally get more accurate predictions than could be expected from even a panel of experts in any given field. 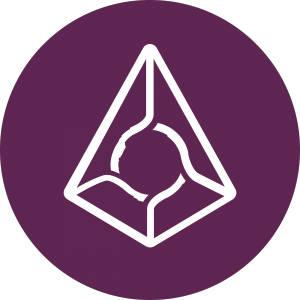 Augur is an exciting project that is creating the first ever decentralized prediction market. Instead of having a bookie who takes bets, reports on the outcomes of events, and redistributes the funds accordingly, this can now be done in a decentralized manner. Augur accomplishes this using Reputation (REP), a coin which is used to incentivize holders to report honestly about the outcomes of events. When Reputation holders report honestly, they earn more Reputation. When they report dishonestly, they lose their Reputation. Augur launched their long-anticipated platform on July 9, 2018. It is still somewhat hindered by the performance limits of Ethereum for now, but things should improve significantly in the next couple of years as scalability solutions are employed. People love gambling, and Augur has the chance to provide a superior forecasting platform that blows their centralized competition away. If they can pull it off, it’s all up from here. If you’d like to use the Augur platform for yourself, simply follow the instructions here to get started. To learn more about prediction markets and Augur’s decentralized setup, we recommend that you also read the Augur whitepaper. Finally, for some investment analysis, check out these reasons to be excited about Augur. USD Coin is the 3rd stablecoin currently in the Top 20 Ethereum tokens, and the most recently launched of the lot. 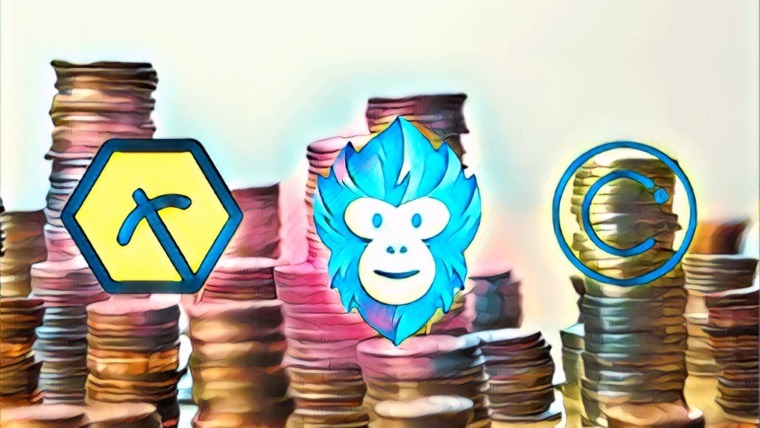 It’s no surprise to see so many stablecoins ranking highly during a bear market, as their market caps are determined by the amount they are collateralized rather than by speculation like for other cryptocurrencies. USDC is the product of a partnership between a couple of big companies in the blockchain industry, Circle and Coinbase. The 2 companies came together to found CENTRE, which serves as the foundation for USDC and aims to bring stablecoins into the mainstream. The USDC stablecoin is built on CENTRE’s open-source framework and is fully collateralized by US dollars held in bank accounts and subject to regular public reporting of reserves. USD Coin is still extremely new to the market, having just been launched by Coinbase on October 23, 2018. That makes its current market cap of over $130 million all the more impressive and really shows the huge role of Coinbase in the greater cryptocurrency market. It will be interesting to see how much Maker, USD Coin, TrueUSD, and other relatively new stablecoins are able to chip away at the previous dominance of Tether. Perhaps by the next update of this article one or more of them will have overtaken USDT as the largest market cap stablecoin, which would certainly be a welcome sight for many cryptocurrency enthusiasts. Competition sure is fierce in the stablecoin market! Paxos Standard Token is the 3rd stablecoin to find its way into the Top 20 Ethereum Tokens for the first time on this update, and the 4th overall. Like USDC and TUSD, PAX is fully collateralized by US dollars, which are held in reserve in segregated accounts at multiple FDIC-insured US banks. The big differentiator between PAX and the other stablecoins on this list is that PAX is approved and regulated by the New York State Department of Financial Services. As a result, PAX effectively bridges the gap between the traditional financial system and the rapidly evolving blockchain industry. As is the case with every stablecoin on this list, PAX can be easily sent and received by anybody with an Ethereum wallet. Additionally, PAX is available for purchase or to be redeemed by verified Paxos customers at Paxos.com. Status is one of the better-known dapps in the Ethereum community, in good part because its purpose is to actually make Ethereum better. In fact, the Status ICO was so popular that it momentarily overwhelmed the entire Ethereum network. 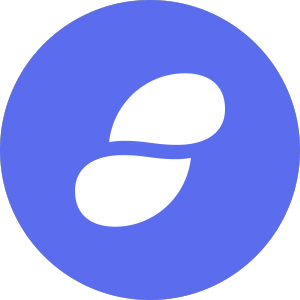 Status runs the go-ethereum (geth) light client on mobile devices, enabling users to turn their phones or tablets into Ethereum nodes. This allows users to participate in the mining process and make the Ethereum network stronger. On top of that, Status is also an Ethereum browser and decentralized messaging app. This service makes it easier for people to access other Ethereum dapps and to easily communicate with people around the globe about transactions and smart contracts. The status app entered beta testing for both iOS and Android a few months ago and has been well-received thus far. You can find it on the Google Play Store and through the TestFlight app for Apple iOS. You can learn more about Status by reading their whitepaper. 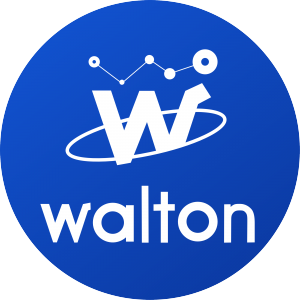 Waltonchain is one of several decentralized platforms designed for use in the Internet of Things (IoT). It employs a unique combination of blockchain technology and RFID (radio-frequency identification) to build a powerful IoT network, seamlessly connecting physical products with affordable digital tracking systems. As you likely already know, smart contracts are written in computer code and execute automatically upon completion of the contract’s conditions. However, this process isn’t quite fully autonomous, as it still requires human input to confirm that conditions have been met. With Waltonchain, the entire process can be automated so that human entry is no longer necessary. This provides superior efficiency and trustlessness, incentivizing businesses everywhere to adopt the technology as a means of mitigating risk and reducing costs. Waltonchain potential for impact is massive, as it can be used in industries across the board. To learn about more exciting use cases as well as how the technology works, read Waltonchain: An Interconnection Between the Physical and Virtual Ecosystems and Match Made in Blockchain: Waltonchain + Request Network. And, of course, for the full picture of Waltonchain’s technological solutions, you can read their whitepaper. For some more recent analysis, check out this Waltonchain roadmap progress update. And if you’ve read this far, you might also be interested to learn some reasons why we think Waltonchain is a smart long-term investment. Decentraland is probably the funnest of the projects on this list by a large margin. It is an entire virtual reality world that’s created and owned by its users and built on the Ethereum blockchain. Your imagination is the limit: go to a casino, watch live music, attend a workshop, shop with friends, start a business, test drive a car, visit an underwater resort, and much, much more—all within a 360-degree, decentralized virtual world. If you want to become a player in this virtual world, you can start with our guide on how to buy Decentraland Parcels (LAND). To learn more about the project, you can read our overview: Decentraland: Virtual Reality Meets Blockchain Fun and look through some posts on the project blog. You might also enjoy these articles on Futuristic Blockchain Projects and 5 Projects Using Blockchain to Create Virtual Realities. 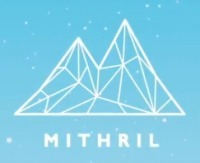 The process of earning MITH through content creation and social interaction within the Mithril ecosystem is something that the team has named “Social Mining.” A special algorithm accounts for likes and comments on posted content as well as other interactions and determines how much MITH each user earns. MITH can be spent on apps within the Mithril ecosystem such as dating services, premium content channels, and live-stream applications. Additionally, the Mithril team is working to get MITH accepted by retailers in Hong Kong and Taiwan, as well as developing exchange functionality within the Mithril Vault so that MITH can be exchanged for BTC and ETH. Mithril is also partners with Qtum and has plans to develop further social media applications on top of it, in addition to what they develop on Ethereum. For a quick overview of the Mithril project, see their One Pager. Kucoin is a Hong Kong-based cryptocurrency exchange. The platform has a native ERC20 token, Kucoin Shares, which is similar to a stock that pays dividends, but with a few other positive features on top of that. First, the “dividends” – users of Kucoin are incentivized to hold KCS on the exchange in order to earn daily bonuses. 50% of the total transaction fees charged by Kucoin are redistributed to KCS holders according to the amount of the total supply that they own. For example, somebody who owns 1% of the total KCS on the exchange would be paid $5 for every $1,000 in transaction fees charged by the exchange. Additionally, holding Kucoin Shares reduces the transaction fees that you pay to trade on the exchange. A fee discount ranging between 1% and 30% is assessed for every 1,000 KCS a given trader owns. For a deeper look at the Kucoin exchange platform and its incentive structure, you can read the project whitepaper. If you want to see how much passive income you could be generating by holding KCS, you can use this bonus calculator. And, if you’re interested in using the KuCoin exchange, you can get started with our KuCoin Review and Beginner’s Guide. Nexo is a platform providing crypto-backed loans – a way for cryptocurrency investors to obtain liquidity from cryptocurrency assets without having to sell them. Nexo loans are instant, automatic, flexible, and cost-efficient, with no hidden fees, no capital gains taxes, and no credit checks. That might sound a bit radical, but a deeper dive into Nexo quickly eases skepticism. The Nexo platform is powered by Credissimo, a FinTech Group that has been serving millions of people in Europe for more than a decade with instant online consumer loans, e-commerce financing, and bill payment services. With that solid foundation, adding crypto-backed loans to the mix was a logical step forward for the company. The loan limits for Nexo customers are based on the market value of the crypto assets stored in their Nexo Wallets. Loans can be paid off using fiat currencies, NEXO tokens (which provide a discount on the interest), or through sale of the crypto assets in the customer’s wallet. Ultimately, Nexo can benefit from the same things that have made Credissimo a success: an efficient business model, innovative technology, and a highly qualified team to execute their business strategy. To learn more about Nexo, you can read the project whitepaper or check out our project overview: What is Nexo?. Oh, and the next time you’re checking a price chart on CoinMarketCap, look out for a “Get Loan” button next to the other buttons at the top of the page. Now, that’s a well-targeted marketing strategy. The problem that Revain aims to solve is the lack of trustworthiness and authenticity in online product reviews. Consumers rely heavily on reviews to determine which goods and services to spend money on and which to avoid. However, it’s estimated that somewhere between 20% to 60% of all reviews are fake. On top of that, centralized review platforms like Yelp can control which reviews consumers see and even remove reviews at their own discretion. Revain is a review platform built on the Ethereum blockchain that aims to be more trustworthy and useful than the centralized review platforms we are accustomed to. It eliminates the possibility of removing reviews retroactively, as the blockchain is immutable so all reviews posted on it are permanent. Revain also uses a two-step process to filter reviews. Artificial intelligence filters are used to filter out spam and obviously fake reviews. Reviews that pass the first round of filters will then be sent to the company in question, and said company can either approve or reject the review. 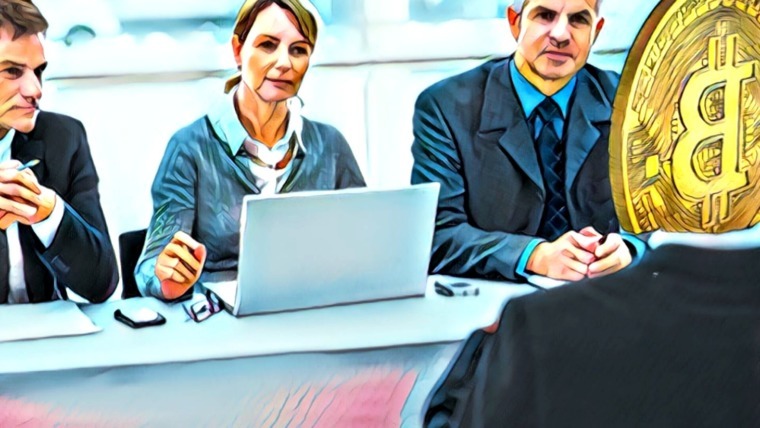 The review will be visible regardless of whether it is approved or rejected, but this gives companies a chance to leave comments explaining why they reject a given review. Finally, Revain attempts to increase the proportion of real reviews by incentivizing review writing with RVN tokens, and at the same time capping the amount of reviews that a given user can write at 5 per day. RVN is a stablecoin (see explanation in Maker section), while the other Revain token – R – is more volatile because it is traded on exchanges. Initially, Revain is used primarily to review cryptocurrency projects. The plan is to expand into other categories gradually in the coming years. You can learn more about the token economics of R and RVN as well as the rest of the Revain solution by reading the project whitepaper. These are Ethereum Tokens that were in the Top 20 during a previous edition of this article but have since slipped down. A decentralized autonomous organization (DAO) is one which is governed by rules that are written in computer code as smart contracts. DigixDAO is one such self-governing organization that was built to promote the development of world-changing decentralized projects. Community members come together to determine which projects should receive grants based on their potential to help grow the Digix network. There are actually two tokens associated with Digix: DGD and DGX. The DGX token is backed by physical gold bullion, with 1 DGX being equal to 1 gram of physical gold that is kept in a vault in Singapore. Users can redeem the gold by mail or pick it up personally if they so choose. The DGD token, meanwhile, is used for casting votes in the DigixDAO governance mechanism. These votes determine which projects will receive DGD funding from the community. Holders of DGD are incentivized to vote so that they can earn rewards, such as DGX discounts or rebates. With that being said, DGD tokens don’t generate any passive income or enable profiting from DGX trades or dividends. Digix is the first project of its kind to employ a proof-of-asset protocol in order to track an asset – in this case, gold – on the blockchain. For a deeper look at DigixDAO, DGD, and DGX, we recommend reading the project’s whitepaper. Loopring is similar to 0x in that both are decentralized exchange protocols that makes it possible to trade blockchain assets. One big differentiator between the two is that 0x is explicitly designed for trading Ethereum tokens, while Loopring is blockchain agnostic and can integrate with any smart contract platform. Loopring isn’t a decentralized exchange itself, rather it allows users to trade assets across other other exchanges. The protocol has a lot going on and is worthy of a more in-depth look, but the two technological features that are perhaps most noteworthy are order sharing and ring-matching. Order sharing describes the process by which Loopring divides individual trade orders into smaller pieces and identifies the best times and exchanges to execute trades, optimizing trading results and reducing risk in the process. Ring-matching, meanwhile, is a mix-and-match process in which Loopring pools trade orders together and uses them to fill each other, leading to far greater liquidity than is available directly on exchanges. To learn more about Loopring, you can read their whitepaper and follow project updates on Medium. FunFair is essentially an online casino and gaming platform built on top of Ethereum, offering all sorts of advantages over traditional casinos for both players and operators. This is not the first blockchain or even Ethereum-based casino platform out there. However, FunFair claims to have reduced the cost of games (i.e. the gas cost for placing a bet) to just 10% of what the others cost. Moreover, FunFair prioritizes transparency so that players know that the games they play are fair. 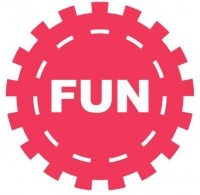 On top of that, FunFair has made it incredibly fast and easy to become a casino game operator. It takes only a couple of clicks and a few seconds to open shop and begin accepting players and processing bets. To see how FunFair aims to combine the best of both traditional online casinos and blockchain-based ones, check out the project’s commercial and technical whitepapers. With the motto ‘Connecting the Tokenized World’, Kyber Network is a platform-agnostic liquidity provider for the decentralized ecosystem. Kyber’s liquidity network connects DEXs, dapps, financial protocols, wallets, fund managers, investors, token teams, and payment systems such that inter-token settlements are instantaneous and secure. The Kyber Network development team is currently working on an exciting solution for standardizing token sales called KyberGO, which is scheduled to be launched in Q3 2018. To learn more about Kyber Network, see their company About page. The most important product Loom Network has built so far is a software development kit (SDK) that makes it incredibly quick and easy for developers to build their own blockchain. Loom Network also supports something they call DAppChains – 2nd-layer side chains for decentralized applications that use Ethereum as the base-layer. This allows dapp developers to choose alternative consensus mechanisms to what Ethereum uses, improving scalability. At the same time, DAppChain-based assets can be transferred via Plasma-based relays such that the assets still benefit from the full security guarantees of Ethereum. The first DAppChain — named DelegateCall — is already live, with more development underway. Out of all of the additions to the Top 20 in this update, Loom Network is perhaps the most interesting from the perspective of an Ethereum enthusiast. 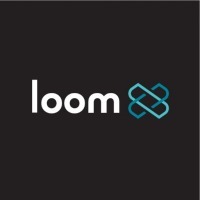 It provides useful solutions to the scalability problem, and the Loom Network team has thus far proven their commitment to sound product engineering over generating unfounded marketing hype. There is a lot more to know about Loom Network than what I’ve fit in this short overview. If you’re interested in learning more, check out their comprehensive project guide. MCO, recently rebranded from Monaco, is a project with the core mission to “put cryptocurrency in every wallet” by offering simple and useful financial applications that enable widespread adoption of blockchain technology. The MCO platform already includes 2 extremely useful products that enable people to use cryptocurrencies seamlessly in their everyday lives. One is the MCO Wallet App, which enables users to buy, exchange, and track cryptocurrencies. The other is the MCO Visa Card, which makes it possible to easily spend cryptocurrencies in the real world. MCO Visa Cards have no annual fee, offer up to 2% crypto cashback, can be used overseas without having to pay significant foreign transaction fees, and can be easily managed through the sleak MCO Wallet App. If you’re interested in taking a deep look at how MCO is making it possible for people to begin using cryptocurrencies in their everyday lives, check out the project’s newly updated whitepaper. Salt takes a traditionally centralized financial service and offers a more efficient alternative by using smart contracts. Say that you have some crypto assets that you are bullish on and don’t want to sell, but you are strapped for cash. With Salt, you can use your crypto assets as collateral to receive a loan so that you can make it to your next payday without selling your crypto. You don’t need to report a credit score or go through a lengthy approval process. Borrowers simply put their blockchain-based assets up as collateral in a smart contract and are quickly matched with capital from an extensive network of qualified lenders. Salt is scheduled to roll out their platform with BTC collateralized loans in Q4 2017, adding Ethereum collateralized loans in Q1 2018 and more altcoin collateralized loans in Q3 2018. Salt launched in October 2017 and received a lot of positive attention, breaking into the top 10 of Ethereum-based tokens in December 2017. You can learn more about Salt on their website and by reading their whitepaper. The business model of Veritaseum can be described as creating an entryway into global peer-to-peer capital markets that is cheaper than other options that are offered today. In other words, they plan to compete directly with hedge funds while operating at a fraction of the cost. 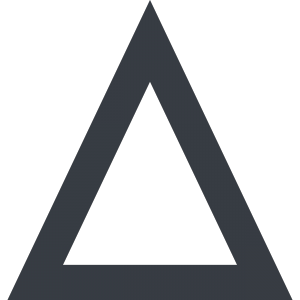 According to the Veritas Paper, Veritaseum offers access to assets and value trading without counterparty risks, credit risks, or balance sheet exposure. This is done using a software suite of roughly one dozen smart contracts called VeADIR. Customers can gain access to VeADIR using Veritas tokens, which are available on EtherDelta and a couple other lesser-known exchanges. However, as far as investing goes, it should be mentioned that Veritaseum is one of the riskier ones out there. Their website is well below standard, and it takes a significant amount of independent research to even understand what they are trying to do. On top of that, they haven’t officially launched any products yet, so investing at this point requires a lot of faith that they will live up to the promises they’ve made to compete against hedge funds and brokers — and win. After its impressive 200% price increase from mid-March through April 2018 leading to all-time highs over $1 per BTM, the token’s value has since dropped nearly 70% during the bearish summer months. That being said, Bytom still has a top 50 market cap and an exciting future ahead. The name Bytom is a combination of byte (digital) and atom (physical), a reference to Bytom’s mission to bridge the gap between the digital and physical worlds. 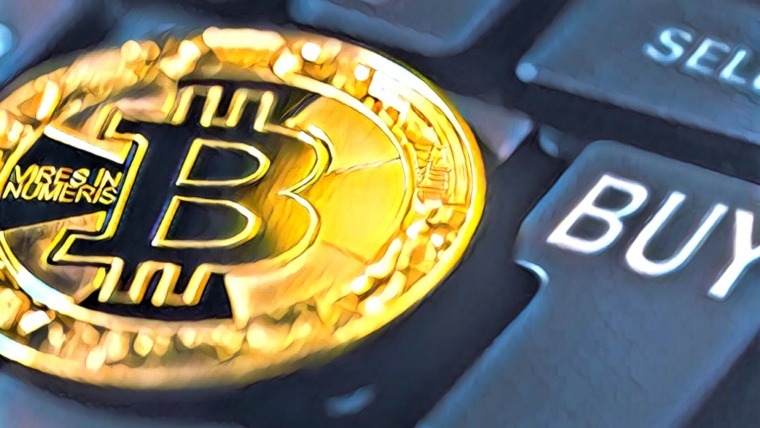 There are a growing number of projects attempting to transfer the benefits of blockchain technology to physical assets using asset-backed cryptocurrencies. Bytom does something similar, but doesn’t limit itself to any particular asset. Instead, it makes it easy for a number of different assets to be registered and exchanged on the Bytom blockchain, including income, equity, and security assets. For more information about Bytom, you can visit the project’s website and subreddit. Santiment Network Token is marketed as a way for cryptocurrency traders to gain an edge over the rest of the market. They do this by providing a library of specially curated data feeds about blockchain assets and the market sentiment surrounding them. Santiment’s business model is to offer subscriptions for customers to gain access to their data feeds. Holders of the SAN token can receive limited access to some of that information, or use the token to purchase more exclusive information in auctions. Trading using fundamental analysis takes a lot of work. You have to research projects in depth and keep up to date on all the latest news to gauge market sentiment. The idea of Santiment is that they will do a lot of the hard work for you and consolidate the most important data into one convenient location. Visit their website to learn more about the project. Santiment also has a roadmap available. These are cryptocurrency projects that launched as ERC-20 tokens while under development in order to raise funds and gain liquidity. However, all of the projects on this list have either already launched their own independent blockchain or are planning to in the future. As you are likely already aware, EOS and Ethereum are actually competitors. Both are primarily smart contract–enabled platforms for hosting decentralized applications (dApps). The big technological difference that makes EOS unique is its operating system-like structure that scales both horizontally and vertically. Horizontal scaling is the key phrase here, as it allows for smart contracts and transactions to be executed in parallel rather than sequentially. This difference makes EOS more efficient than Ethereum, leading to faster transactions and lower fees for dApps. Some people have gone so far as to dub EOS a potential “Ethereum Killer” because of its superior scalability. 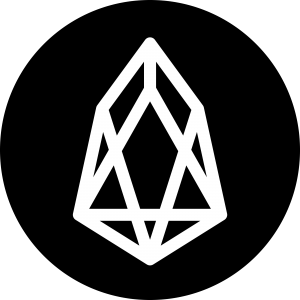 What prospective investors should understand is that EOS makes sacrifices to achieve that scaling, namely with its DPoS (Delegated Proof-of-Stake) consensus mechanism. EOS has 21 supernodes which are elected by token holders, with each holder’s vote being weighted by the size of their holdings. Many EOS supporters will make the case that having 21 delegates results in greater decentralization than PoW networks where just a few mining pools can control substantial amounts of hashpower. There are reasonable and – dare I say – valid counterarguments to that, an example of which you can read here. You can learn more about EOS by reading their website and whitepaper, or by reading our introductory article What is EOS?. Tron is a blockchain-based protocol for revolutionizing the economics of online content. It aims to connect content creators with ordinary users using Tron’s coin, TRX, so that they are no longer reliant on centralized platforms to store and spread their content or to get paid for it. 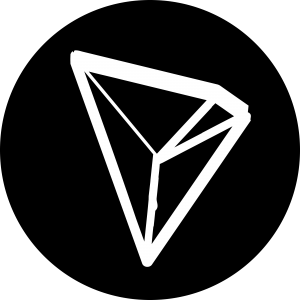 The Tron whitepaper states: “Existing content platforms have been controlled by profit demands and centralized mechanisms, and the content we read is that which the centralized platform wishes us to read, rather than what we wish to read.” This rings especially true in China, where the first Tron-compatible entertainment app, Peiwo App, will be released. Social media platforms today deploy algorithms designed to keep users on the platform for as long as possible in order to generate more revenue from advertisements. Such advertisement-based profit models are not optimal for end-users or content creators. Tron’s decentralized ecosystem is designed to take control of the internet away from corporations like Facebook, Google, Apple, Alibaba and Tencent and redistribute it to content creators and ordinary users. It’s an ambitious project to say the least, and it has developed an unfortunate reputation among serious investors for being overhyped and overvalued. We’ll leave it up to you to do some research and decide whether that reputation is warranted or if Tron can follow through on their big plans. Tron is developed by a non-profit foundation based in Singapore. You can learn more about the project on their website, or by reading the whitepaper linked in the paragraph above. VeChain is a Blockchain-as-a-Service company that aims to provide trustless and transparent supply chain management to industries across the board. Using smart chips that were designed and manufactured in-house, VeChain is able to track goods and ensure product quality and authenticity. This enables retailers to prove that the luxury items they are selling are legitimate, giving consumers peace of mind that they aren’t being scammed. Furthermore, VeChain can make supply chain management significantly more efficient. Companies that once had multiple databases tracking manually entered information can transition to the VeChain blockchain so that goods can be tracked more quickly and easily with smart chips and data integrity can be ensured. On February 26, 2018, VeChain rebranded as VeChain Thor, and the company expanded its technology to enable enterprise dapp solutions to be built on top of it. The rebranding included a planned transition of the primary token VEN to VET, as well as the introduction of a new token called Thor Power (THOR). THOR will be used to run smart contracts on dapps on the VeChain blockchain, and it will be generated for users who are holding VET. At the time of writing, CoinMarketCap still lists the coin as VeChain (VEN), as do the majority of exchanges. If you’re intrigued by VeChain and the potential of Blockchain-as-a-Service, we recommend that you check out 5 Reasons to Invest in VeChain. You can also learn more by reading the VeChain development plan and taking a look at the project’s website – just click the top right corner to change it to English. ICON is a Korean-based blockchain startup founded by the Dayli Financial Group. The project’s purpose is to increase the efficiency with which information is shared between institutions of different industries. To accomplish that, ICON uses a concept called a “loopchain.” The term is used to describe ICON’s high-performance blockchain that effectively connects to any other blockchain without going through an intermediary such as a centralized exchange. Blockchains that are connected to the ICON blockchain maintain individual governance, while also being given representation in the ICON governance system to vote on critical matters that affect the entire ICON community of blockchains. Ultimately, ICON can be an integral part of scaling the blockchain ecosystem, connecting hospitals to insurance providers, universities to employers, and much more. However, the project is still in its infancy, just completing a successful token sale – raising 150,000 ETH – in October 2017. That being said, the team has been making good progress in the past few months. Overall, ICON’s long-term success will be determined in large part by how many other blockchain projects see the benefits of connecting to the ICON blockchain. There is a lot more to learn about ICON than could be fit in this short introduction. For a deeper look at the ICON team and their technology, check out What Is ICON (ICX)? and the project whitepaper. For a more investment-focused take on the project, read why ICON is a potential moonshot. Zilliqa is another Ethereum competitor that launched as an ERC-20 token but will eventually migrate off Ethereum. It’s a blockchain platform that can support dapps and is capable of processing thousands of transactions per second. That high transaction throughput is thanks to a scalability solution called sharding, something which the Ethereum development team is working to implement. As the Zilliqa network expands, transaction throughput will actually increase as well, unlike typical protocols where it becomes harder to reach consensus the more nodes (miners) there are in the network. Eventually, Zilliqa will be able to process transactions ate rates on par with Visa and MasterCard. In comparison with other blockchains with similar transaction throughput, Zilliqa is a rare case that remains completely open and permissionless rather than relying on some variation of delegated proof of stake. One important thing to note is that Zilliqa’s programming language is data flow-based, not Turing complete. That makes Zilliqa a good choice for applications such as CryptoKitties with tons of transaction volume but relatively low complexity, whereas high complexity dapps will likely still be built on Turing complete platforms. Other notable features of Zilliqa include a more energy-efficient mining protocol. 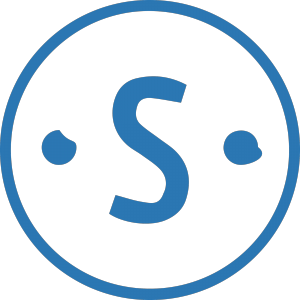 It leverages proof-of-work for identity establishment to prevent against sybil attacks, but employs a low-footprint EC-Schnorr algorithm to achieve consensus on transaction validity. For more information about Zilliqa, take a look at the project’s technical whitepaper or FAQ page. You can also read our guide “What is Zilliqa” for an overview of the project. 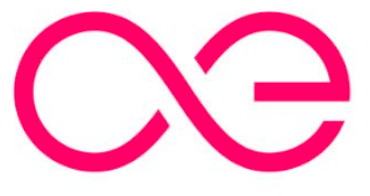 Aeternity is a blockchain-based computing and digital asset platform that was designed to solve the scalability and privacy problems faced by other blockchains. One of the key technological components of Aeternity’s solution is what’s referred to as “state-channels.” These channels are a means of keeping undisputed transactions off-chain, thereby enhancing privacy so that sensitive business data isn’t exposed to the public. The only time the blockchain is involved is when there is a discrepancy and a smart contract need to be enforced. Another positive side effect of off-chain transactions is that they allow for practically unlimited transaction throughput. The other really significant technological component of Aeternity is its use of “smart oracles.” The idea behind smart oracles is to enable interactions between real-world data and blockchain-based smart contracts as efficiently as possible. Smart oracles enable use cases including financial applications, supply chain management, insurance, gaming, and more. Finally, it’s worth noting that Aeternity employs a hybrid proof-of-work and proof-of-stake system. Mining consensus is reached through proof of work that can be carried out on regular computers and smartphones, making it highly decentralized. Meanwhile, the governance mechanism runs on a proof-of-stake model based on prediction markets. For more information on Aeternity, see the project’s whitepaper or read “What is Aeternity” for an overview. While the majority of new cryptocurrency projects are searching for problems that blockchain can solve, Aion is being developed to solve one of the biggest problems that exists because of blockchain. Specifically, Aion aims to address the issue of blockchain interoperability by making it possible for separate blockchain projects to seamlessly work together. There are thousands of cryptocurrencies in existence now, with hundreds more being developed as we speak. Many investors find themselves confused, and even frustrated, by the fact that so many of these projects are creating new tokens for their niche use cases rather than just using existing, better established cryptocurrencies. However, the reality is that creating new tokens makes fundraising easy and allows for unique token economics that best suits the needs of each individual application. In other words, the number of different blockchains in existence is only going to keep growing from here. Aion aims to connect blockchains with each other so that they can communicate effortlessly through a public network, the Aion multi-tier blockchain network. A lot of work is needed to create this network and make blockchain interoperability a reality, but the Aion team has already made considerable progress. The most significant accomplishment thus far has been the Aion Network Mainnet Launch in April 2018, which has likely contributed to the token’s ascent into the top 20 Ethereum tokens since then. The mainnet, called Kilimanjaro, will be updated with several new features in the later half of 2018, making Aion a project that’s certainly worth keeping an eye on for investors. 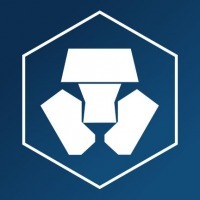 To learn more about Aion and Kilimanjaro, you can visit the project website and read the whitepaper or the more concise executive summary. When it launches (expected date: Q4 2018), the RChain blockchain will be capable of processing 40,000 transactions per second. It will be a Turing-complete platform for running smart contracts written in RhoLang, a programming language that is strongly typed, concurrent, and correct-by-construction – factors which programmers can appreciate, as they indicate high efficiency and security. 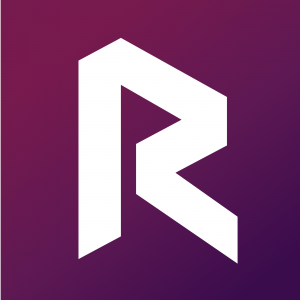 RChain’s decentralized applications will run on the Rho Virtual Machine (RhoVM), which can simultaneously execute different smart contracts on independent blockchains and networks. In other words, RChain is partitioned so that it can run a network of coordinated and parallel sets of blockchains. This solution is also called “sharding,” a term that Ethereum holders will recognize as one of the most critical developments being worked on by Vitalik Buterin and the rest of the dev team for Ethereum’s scalability. One other interesting point to note is that the RChain team is in the process of developing a “translator” protocol to enable developers across various different languages to transfer their application (code) onto the RChain blockchain with just a single press of a button. Given the headstart of other smart contract platforms like Ethereum and NEO, this feature could be critical to achieving significant adoption of RChain. RChain is still very young and relatively unknown, but it has been growing fast since January 2018. 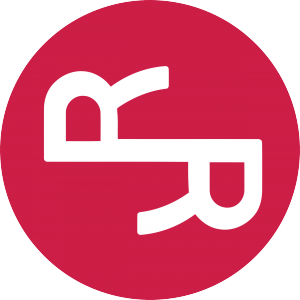 You can learn more about the project and get involved with the RChain community by joining them on Discord. IOStoken is another project that will eventually have its own blockchain but is being traded as an ERC-20 token in the meantime. “IOS” stands for internet of services, which represents IOStoken’s target demographic – service-oriented businesses with large customer bases. The IOS platform has a few unique and interesting features. First is its Efficient Distributed Sharding (EDS) technology, a scalability solution that securely dynamically partitions the IOS blockchain. As a result of EDS, IOS promises to achieve greater than 100,000 transactions per second – an impressive throughput, to say the least. IOStoken also employs a first-of-its-kind consensus mechanism called Proof-of-Believability, which is less energy intensive than Proof-of-Work and utilizes the past contributions and behavior of nodes to determine how trustworthy they are. It seems that IOStoken is following a similar path as fellow dapp and smart contract platforms QTUM and EOS, rapidly growing in both market cap and community size as ERC-20 tokens before actually launching any products. It will be interesting to see if any of these platforms eventually supplant Ethereum, or if Ethereum’s substantial developer community isn’t as quick to jump onto the hype train as investors are. You can learn more about the IOS project by reading their primer or technical whitepaper. If you found this list useful, check out our guide to the Top 50 Cryptocurrencies and 5 Undervalued Dapps to Keep an Eye on. Why are you writing about VeChain in past tense for an event happening on February 26? Hmmm I actually don’t recall writing that part as past tense, might have just been an editing thing since the rebranding is so close and the article won’t be updated for another month. Still impressed by the long-term brilliance of Ethereum to make themselves such an important player by helping other coins to reach its customers. Quite interested in Maker and Golem, to say the least – but for obviously way different reasons. 😉 Quite a shame it went down too this week. 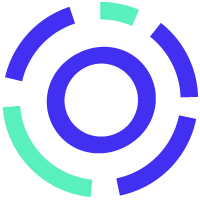 Given that AION is the first cross-chain token that will continue to exist as ERC20 on Ethereum AND as a native token on Aion thanks to the cross-chain bridge, it will be cool to see AION climb to the top of that list of top ERC20 tokens. Especially as other current top ERC20 tokens swap their ERC20 tokens with their native tokens & move permanently to their isolated blockchains (e.g. EOS, ICON, TRX, etc…) & cease to exist as ERC20s on Ethereum. Why don’t you have NOW token in the list? Does anyone know a good ICO tokens catalog? I’m now on the sellandbuycoins.com platform. I would like to know about some other good catalogs. Are you looking for token development company who can develop you token within 7 days in only 5000 USD with web wallet, please contact us? Any comments on SPU+ ? Did you get any response on this because it has been dragging on for sometime with the creators of the token saying it will be listed soon?. It’s now over 6 months. Very informative article. Maybe you have heard about ethermium.com ? So it is a good platform to start trading. Kinesis.money is one to watch for launch this Fall. KVT token is amazing. Real money. Real Yield. Real Simple. Hey guys, I need some help. One of my best friends is really successful with Crypto and I want to follow in his footsteps. I’m currently checking out the site that he used to get introduced to crypto but I wanted to see what you guys thought about it. realcryptoreturns.wordpress.com He said that the guy who runs it works with a bunch of like serial investors which work with hedge funds so I think it’s legit. Plus he is my best friend for years so i’m gonna give it a shot. It worked for him so I think it can work for me too. Onether projects with ERC20 and i think have a good potential in the futures is Kleros (PNK). Maybe investinblockchain.com should review them.